—Rev. Chris Michaels, founding minister of the Center for Spiritual Living, Kansas City, Mo. Unless you’re a Native American, if you were born in America, somewhere in your lineage, you can trace back to ancestors who came here from a foreign land to start a new life. Their decision affected all future generations in your lineage, including you. Your life has taken a different trajectory because of the choices made by those who came before you. 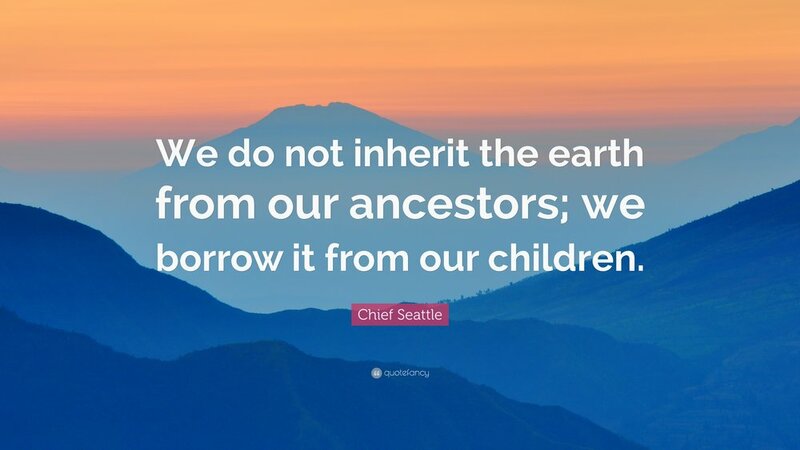 Some Native Americans believe that our actions affect the seven generations in both directions. Think about that possibility. Is it possible that we can evolve our lineage backwards in time as well as forwards? Does it matter? And why bother? Isn’t that ancient history? Maybe not. Consider not only that it’s possible to evolve your lineage in both directions, but also that to have this awareness cuts to the core of the true nature of human being. We’re here in a body, appearing to be separate. We appear to lead separate lives, to have different experiences, beliefs and opinions about what is true and right and how the world works. This is true — at the level of appearances. But as our dear friend and scientific genius, Carl Sagan reminded us we are all part of this great cosmic symphony of particles and light dancing together, energy that’s never destroyed, only transformed. As you step to the front of the line in your ancestry, the energy they embodied has been passed on and is now expressing as you and those of your current generation in the lineage. As you transform, the energy of the entire lineage preceding you is transformed, for it is all happening now through you, as you. You are the one who can heal old wounds for your entire lineage, forgive old enemies, shift conditioning and beliefs, release pain that has held preceding generations captive for centuries. This is the gift you bring them, for as they departed, they left behind the residue of their unfinished business, passed down through the ages, held in place by the unspoken family agreement to perpetuate it — that is, up until now. And now it’s your turn. Bringing completion to prior generations and setting up what happens for future generations now depends on you. You can take this as a burden and decline to answer the call. This is how the wound keeps reproducing itself. Or you can see this as a gift and an honor, an opportunity to contribute to those you’ll never see or know, those who may never know your name. And you can choose to do the work of healing yourself and them. Perhaps you come from a lineage of addiction, from people who found solace and comfort from what seemed unbearable through alcohol or other substances. You might come from a lineage of anger or violence, from people who kept score and settled them in ways that were destructive to themselves and others. Maybe your people tried hard to assimilate and fit in, but never quite succeeded, always the “outsider.” Maybe you still feel that “outsider-ness” in your own life today. Your people might have been survivors, having lived through war or other atrocities. Many fought the battles, inner and outer, with those conflicts having been passed on to you. I grew up in a family with two parents who stayed together for 66 years. I never heard them say a cross word to each other in front of my brothers or me. But as a child, I would sometimes hear them arguing behind the closed doors of their bedroom. It was always a shock to me, for on the surface everything always seemed so tranquil between them. I never knew how unhappy my mother was until towards the end of her life when she began to unload a lifetime of complaints she’d held inside. People of my parents’ generation didn’t express their feelings. Their ancestors were stoic and never complained, even though life was hard. Feelings didn’t matter. What mattered was getting the job done. At the end of their lives, with having gotten the job of living done, both my parents were faced with a flood of feelings that had never been expressed. For my dad it was sadness, for my mom, anger. My mother was a good and kind woman, but sadly, she died a bitter woman, filled with regrets, never really knowing who she was. Our “job” here is to be the light that we already are and reflect that light outward so that others might find their own way in the darkness. The wounds we carry dim the light. As we do the work of transforming our wounds into gifts that help to bring about healing, we literally begin to shine. We become radiant beings who reflect their true nature, which is luminosity. Or, as Carl Sagan said, “We’re made of star stuff.” We are light beings as much as the stars. It takes courage to do the work of healing. It’s not comfortable, convenient or easy. It’s not “business as usual,” or maintaining the status quo. It means the end of denial, pretending and avoiding. It means being radically honest with yourself and those around you. This kind of honesty won’t necessarily win popularity contests, but it will recalibrate your DNA. If we’re healing and transforming the wounds we carry from those who came before, we’re also changing the trajectory of those who come after. Those who follow will have a different standard as the foundation for the linage. If we break the chain of addiction, violence or other inherited, limiting beliefs, our children and their children and those who follow them are given access to possibilities not available to the ancestors. And thus, the entire lineage evolves. In the dream, stepping across the line symbolized my choice to evolve as a conscious being. By stepping across, I was bringing consciousness to the generations who came before and after me. I could see them and feel their presence. They were all standing behind me, with their hands on each other’s shoulders linked together in a long chain of beings. I could feel their longings and the unfinished business of their lives. The choice was an easy one, but I needed to declare it. It had to be a conscious step. So I spoke to the Committee and declared, “I choose to evolve as a conscious being on behalf of all my ancestors, for those who came before and those who come after.” I stepped across the line, and as I did, I could feel a surge of energy as they all came with me. Then I woke up from the dream. It’s time we all woke up from the dream. In doing the work of awakening, we’re invited to rise up and see what lies beyond the wound, what possibilities await our arrival at the place of conscious choice. What’s possible when we live our lives fully embracing ourselves as the magnificent beings we truly are? What’s possible for the human condition when we care enough about each other to look upon one another as partners in this cosmic symphony instead of mortal enemies because it’s been that way for centuries? I once began a seminar by sharing this dream and drawing an imaginary line in the front of the room. I then invited participants, whoever chose to, to come to the front, step across the line and declare themselves. Many made the choice, but not all. And this is how it is with us humans. I invite you to consider making this choice for the thousands of people you represent. Imagine that standing behind you are the people from your past and your future. Many of them haven’t even been born yet. Will you choose to step across the line, do the conscious work of healing and move the chain of beings in a “thousand generations” with you? What wounds do you carry that come from your lineage, passed on for generations? What can you do to change the trajectory for them and for those who follow?